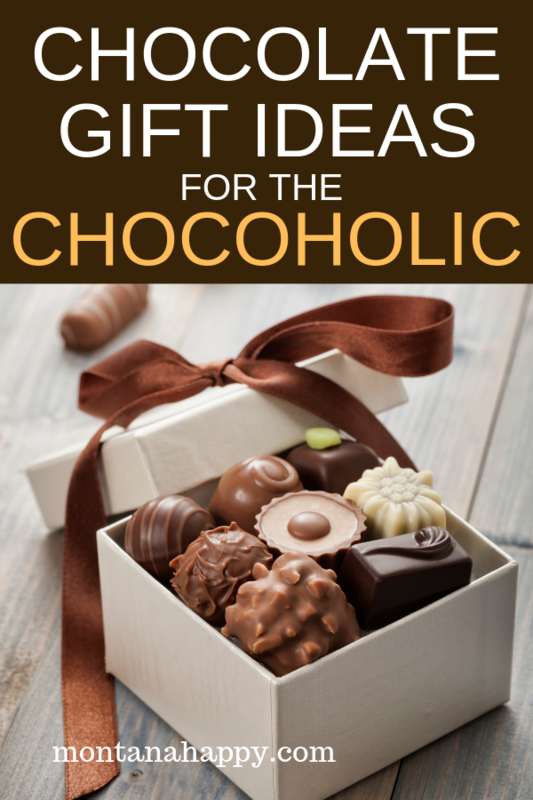 Chocolate Gift Ideas for the Chocoholic will help you pick that perfect present for those that have a fondness for cocoa, even if that someone is you. Chocolate is the one thing that makes most people happy, so why not center your gift-giving around this amazing treat? 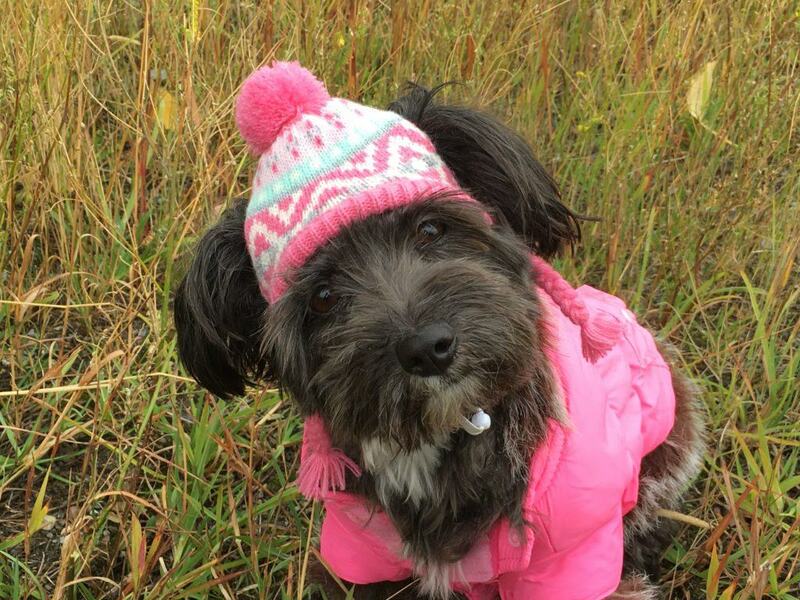 If you like all things chocolate, I’m guessing you like all things cozy. I have a Facebook group called Creating a Cozy Life with over 3,000 like-minded souls. 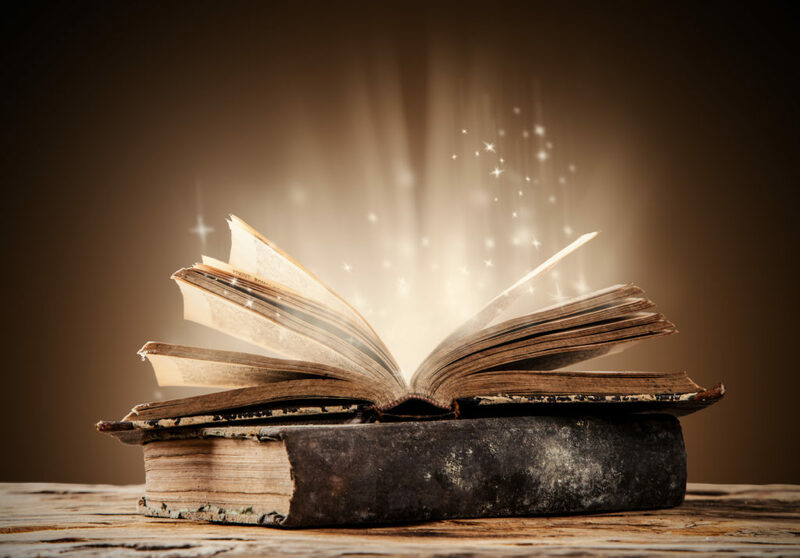 It’s a group where we share recipes, pictures of things that leave you in awe, and ideas on how to make your life just a little bit more snug. Join here to be part of the virtual cozy cabin. Hot Cocoa is the perfect gift to warm anyone’s heart. There are several different ideas along this path. 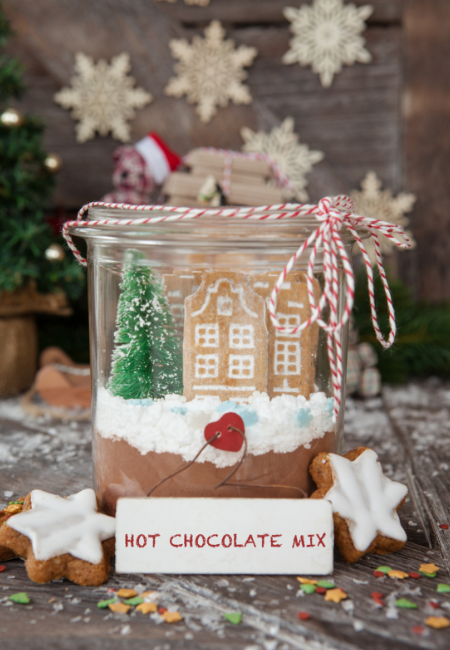 You could make your own gourmet hot coco mix and put it in a cute container. This idea added cookies and a cute little bottle-brush tree to the mix. You could also add a cookbook to go with the theme. 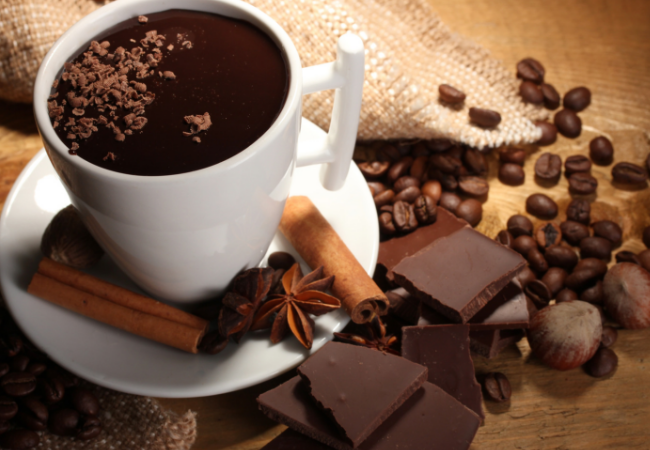 Hot Chocolate Comfort: 50 Recipes for Comforting Cups of Comfort would make a nice companion. Does your friend love to spend time in the kitchen? Get her started on making her own chocolate candies with gourmet chocolate bars, a candy-making book and candy molds. Here’s a set of six candy molds along with 5 recipe ideas to create culinary works-of-art. There’s a flower farm on Whidbey Island that sells only chocolate flowers. You read that right – chocolate flowers – real ones. The flowers are all chocolate colored and many of them are rare. You can find out more here at the Chocolate Flower Farm here. Real chocolate fanatics will appreciate using their favorite ingredient and making themselves more beautiful at the same time. Fresh Sugar Chocolate Hydrating Lip Balm will make your love interest even more kissable. 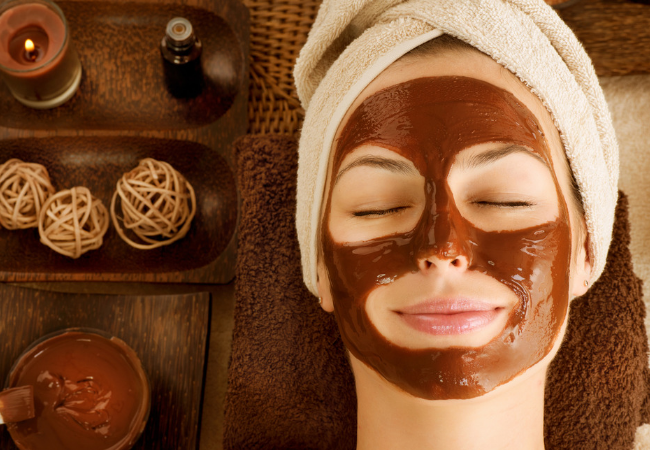 Or how about giving them an Organic Chocolate Cherry Facial Mask to help make their skin more radiant? Being obsessed with chocolate doesn’t have to end with just your taste buds. There have been a lot of movies made about this amazing culinary delight. I’m guessing you’ve heard of this classic. Why not watch it again and see if its as good as you remember? If moving to France and opening up your own chocolate shop is your idea of heaven, you might want to check out this movie. Two star-crossed lovers that are kept apart because of tradition and family obligation. This movie was named after the chocolate shop where the two lead characters spend time when they first meet. I love this movie and I think you will too! You can also make some chocolate popcorn to go along with your movie night. 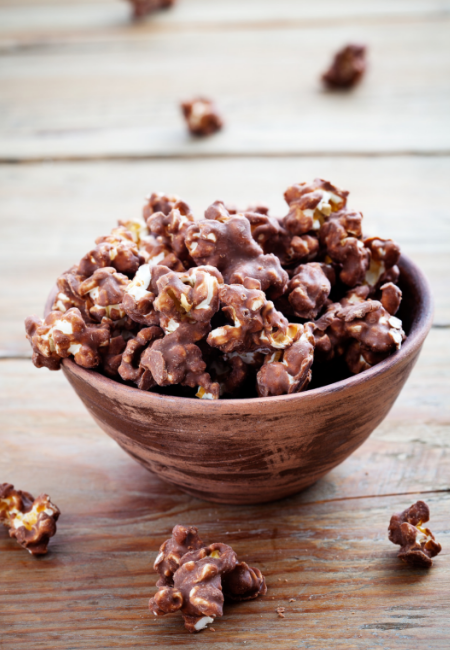 You can find a chocolate popcorn recipe here from Paula Deen. 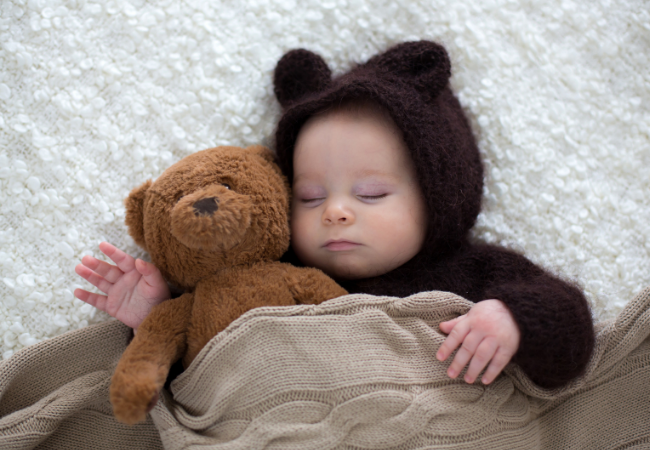 Going to bed just got a whole lot easier if you spent your nights dreaming about chocolate. Here’s a Double Dark Chocolate tea anyone is sure to love. When you simply can’t get enough of chocolate, why not give your chocolate lover a juicy novel to get lost in? The Loveliest Chocolate Shop in Paris (with recipes) sounds like a good novel to start with. If your gift recipient loves a good mystery, Chocolate Cream Pie Murder (A Hannah Swensen Mystery) sounds intriguing. Did you know there’s pretty much a festival for anything you love? 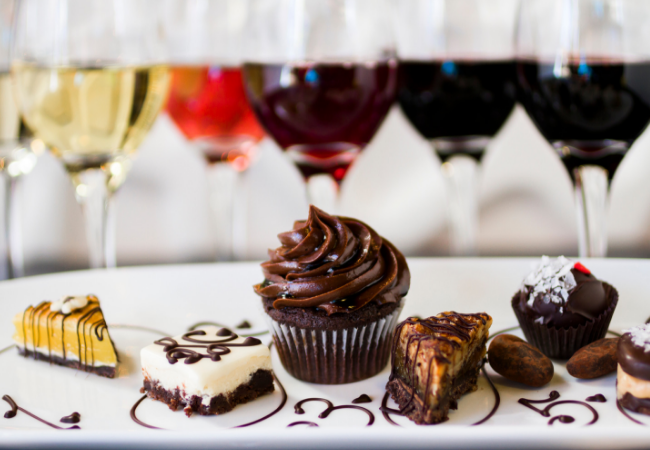 Why not give your chocolate lover the chance to experience a gathering that they will never forget? The Northwest Chocolate Festival has been going strong for 10 years. Exhibitors from 20 countries are on hand to delight your taste buds. This is the largest gathering of chocolate makers in the world. If the Pacific Northwest is too far for you to travel, there’s even a chocolate festival in Massachusetts. 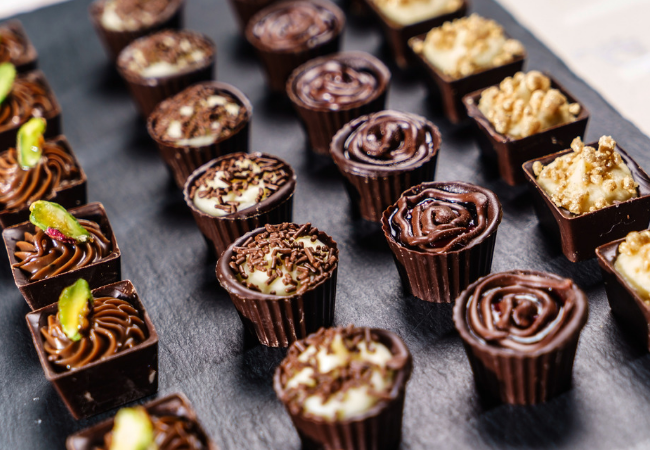 The New England Chocolate Festival has exhibit space devoted to the hands-on chocolate production process and even a chocolate escape room. Why not give the gift of pampering? 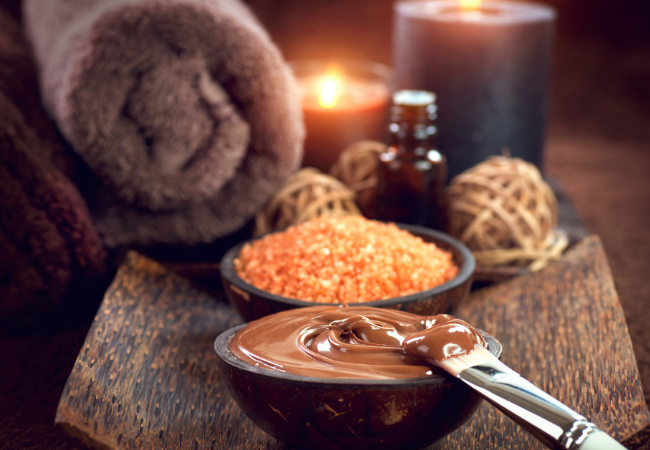 Turn his or her bathroom into a chocolate escape that will soothe souls. Take a look at these gorgeous handmade “Chocolate a La Mode” bath truffles. They almost look too beautiful to use. How does a yummy “Hot Cocoa and Cream” candle sound as you relax in a bubble bath? Dark Chocolate Mediterranean Sea Bath Salt Soak is also the perfect way to enjoy an at-home spa day. You know chocolate makes amazing treats, but what about gourmet chocolate foods that are a bit unusual? 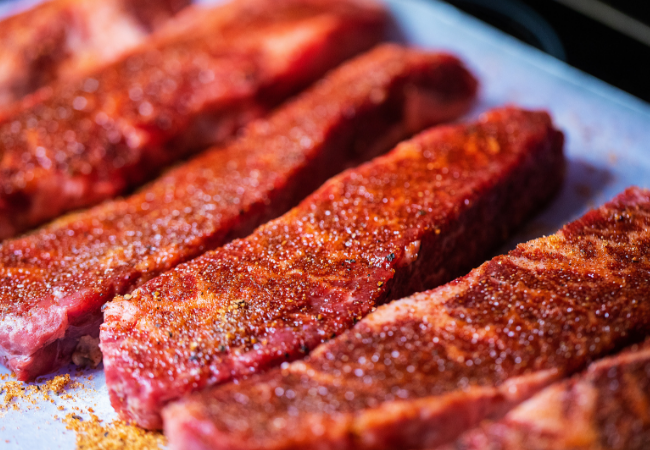 Here’s a Chocolate Steak Rub by Midwest Spice Company that will turn your dinner into an exotic meal. How does chocolate covered potato chips sound? Pretty good I bet. Think about how long chocolate has been such an instrumental part of people’s lives. 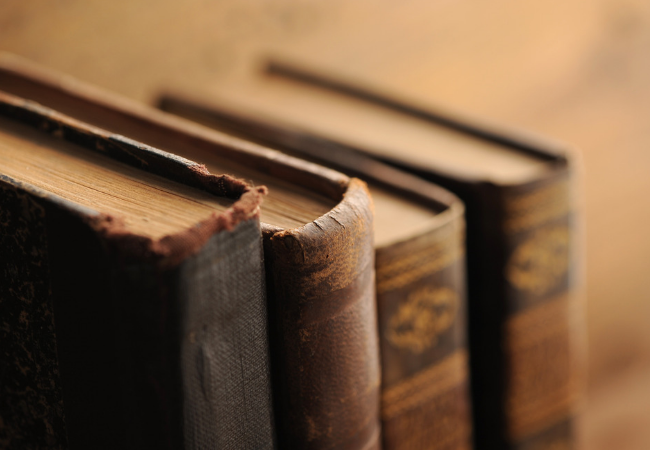 There’s so much to learn about this amazing food, so why not give a gift of knowledge? National Geographic put together a book called “Great Moments in History: With 20 Classic Recipes From Around the World” that would interest any chocolate lover. The True History of Chocolate will give you the knowledge you crave on how chocolate came to be as popular as it is. 12) Chocolate museums and tours. 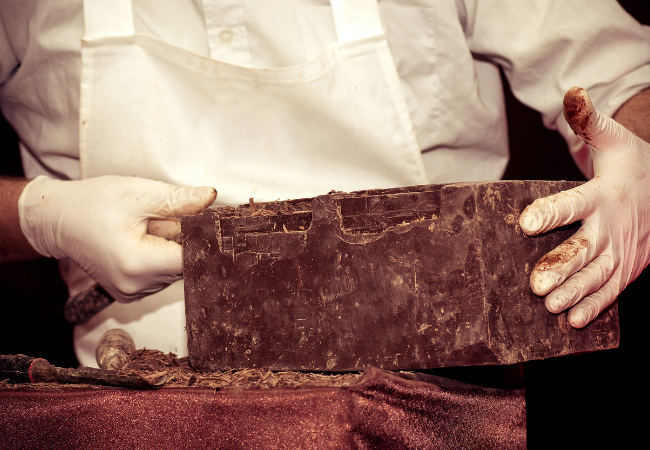 Have you ever been on a chocolate factory tour? How about visiting a chocolate museum? 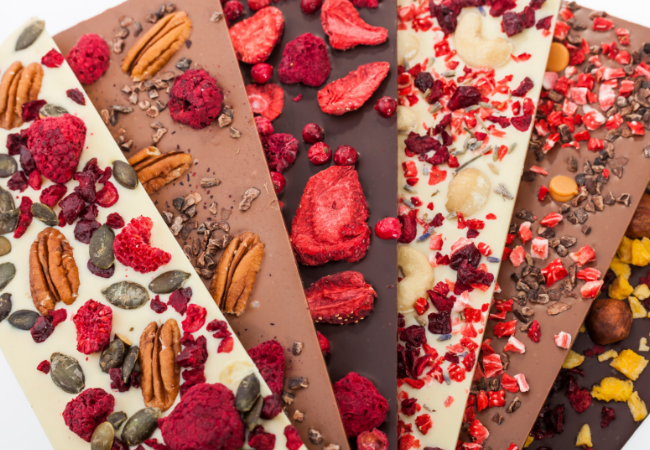 Who knew there were so many different ways to pay tribute to your chocolate cravings. Long Grove Confectionary Company is located in Long Grove, IL. Their specialty is “Myrtles” which is just like chocolate turtles. Raaka Chocolate is makes its home in Brooklyn, NY. They promise to share plenty of chocolate with you. Ethel M’s Chocolates is located in Las Vegas, NV. They just remodeled their facility so you now have no excuse not to visit. Hershey’s Chocolate World located in Hershey, PA. A chocolate museum is dedicated to exploring the history of Milton Hershey’s life. This attraction is a must-see for your bucket list. World of Chocolate Museum and Cafe is in Orlando, FL. You will experience solid chocolate sculptures and also are able to take chocolate making workshops. Choco-Story New York located in New York, NY. The 5,000 square foot museum has a bon bon making demonstration, a self-guided tour of original artifacts and eight premium tastings. The kitchen is the heart of the home. What could make it even better? Adding a touch of chocolate here and there. Give him or her the gift of being able to make new chocolate recipes to dazzle friends and family. The Ghirardelli Chocolate Cookbook is the perfect present for creating amazing recipes. We’ve reached the end of Chocolate Gift Ideas for Chocoholics. I hope you enjoyed it! 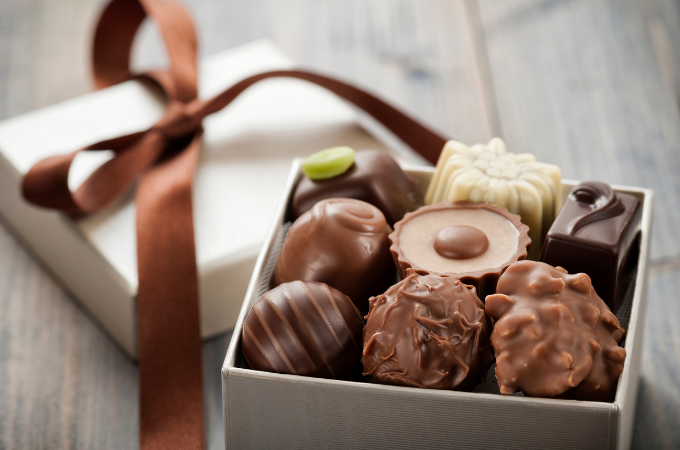 Let me know in the comments below what your favorite chocolate gift you ever received or gave. Ooooohhhhh…I LOVE THIS! I didn’t realize there were so many different ideas for one of my favorite food items. I’m going to give chocolate gifts for birthdays this year. Now the fun begins!